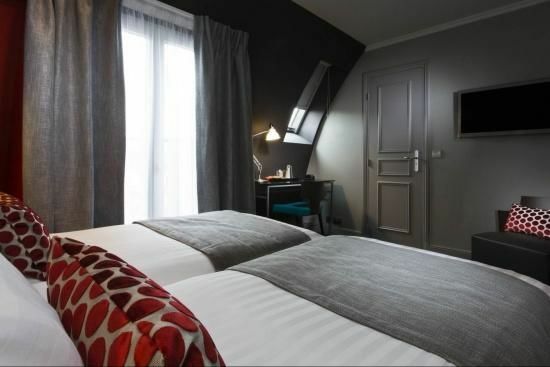 Feel at home in one of these well-appointed single rooms were attention has been paid to every last detail to make your stay is as cosy and comfortable as possible. 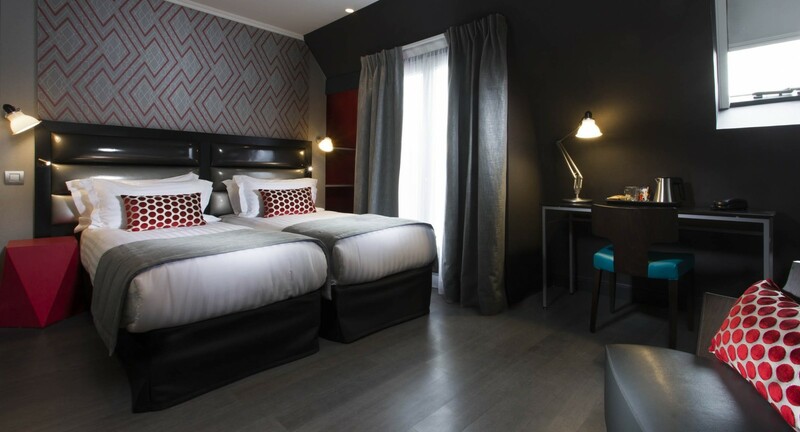 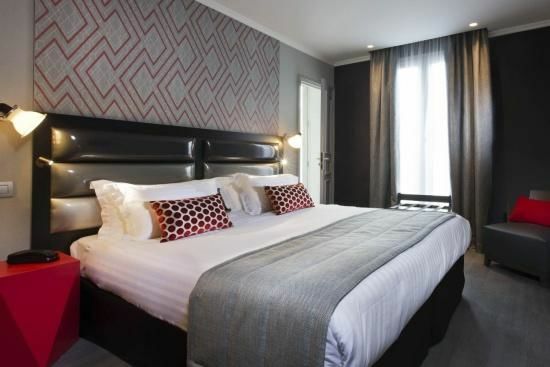 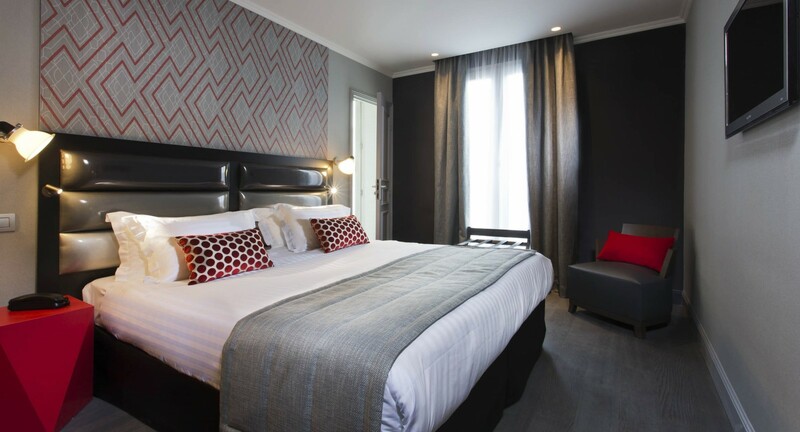 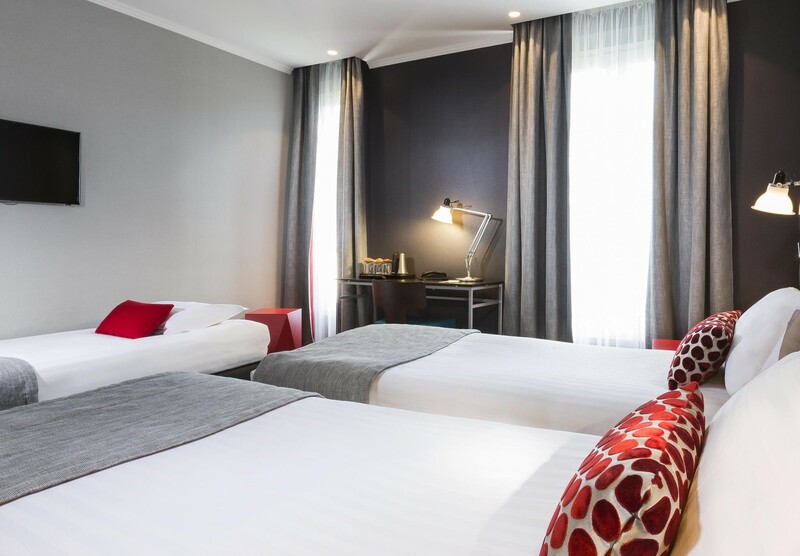 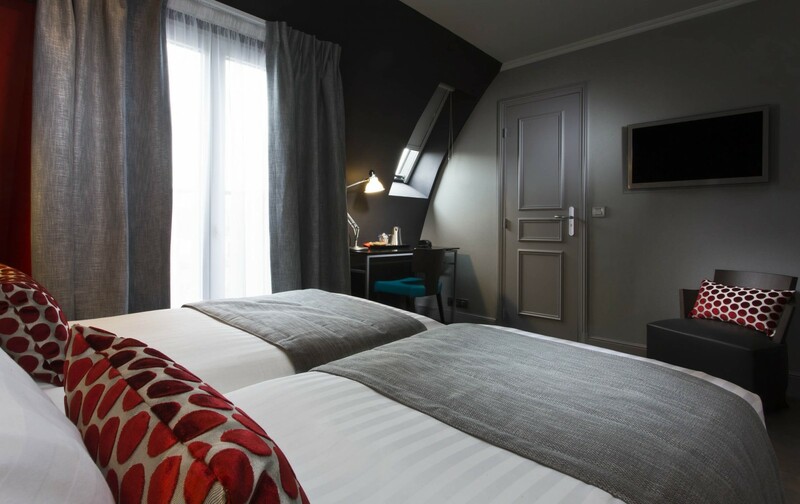 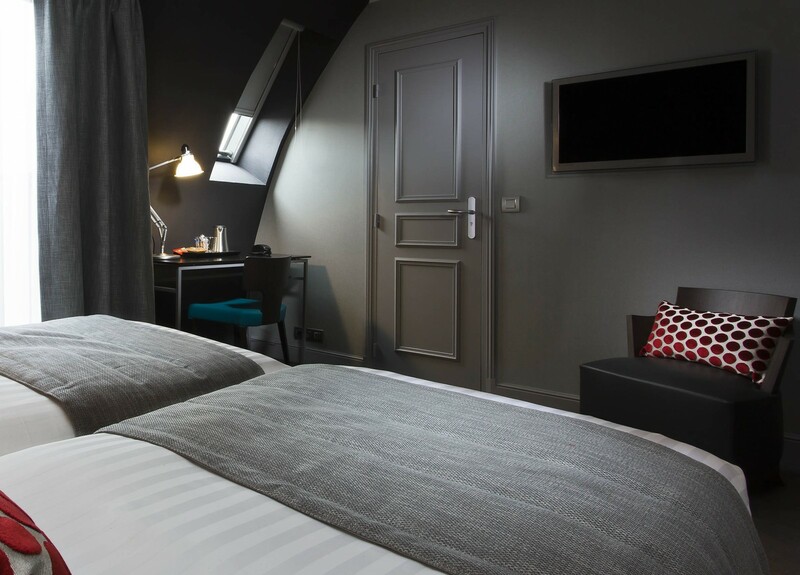 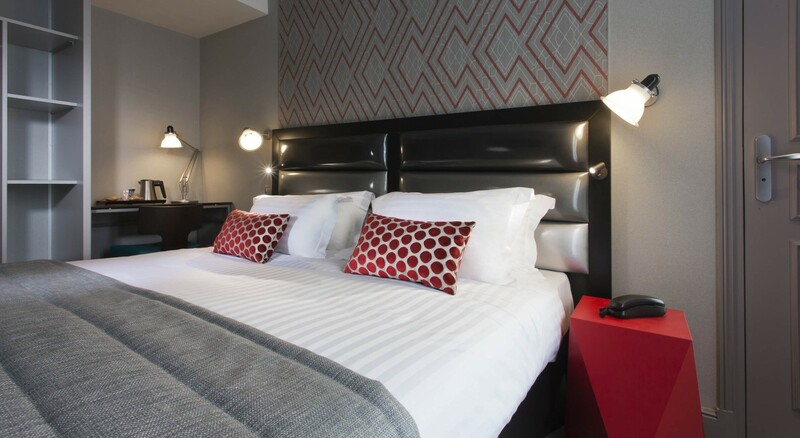 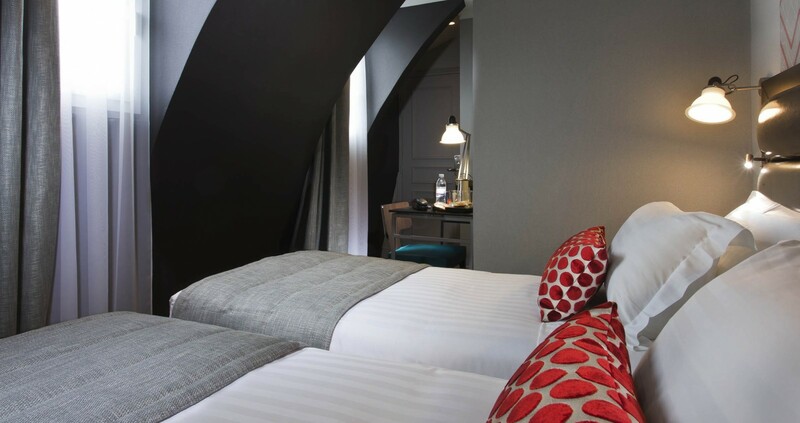 Our newly refurbished rooms offer a modern and elegant decor which combines various palettes of greys and bold touches of red for a warm atmosphere. 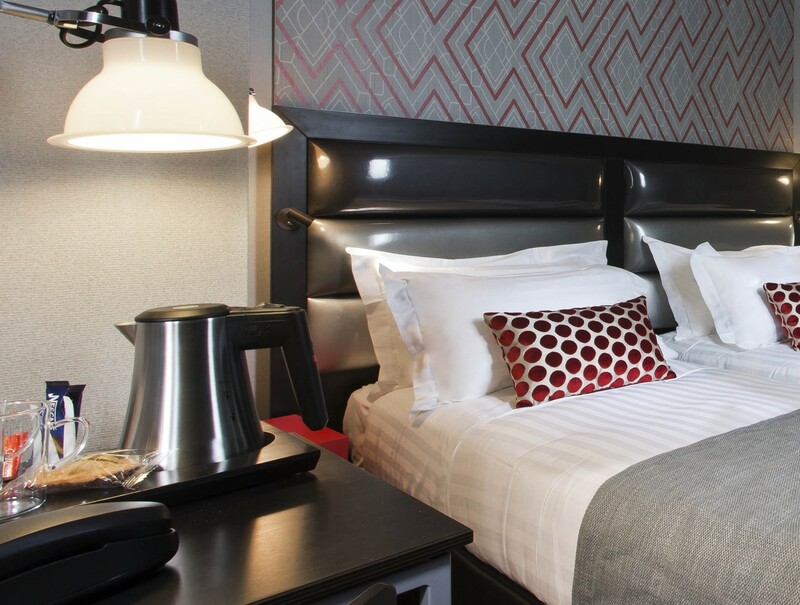 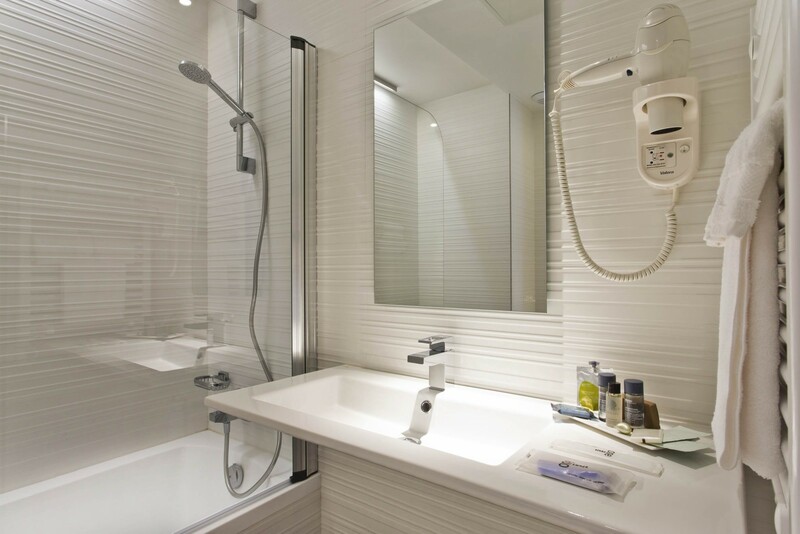 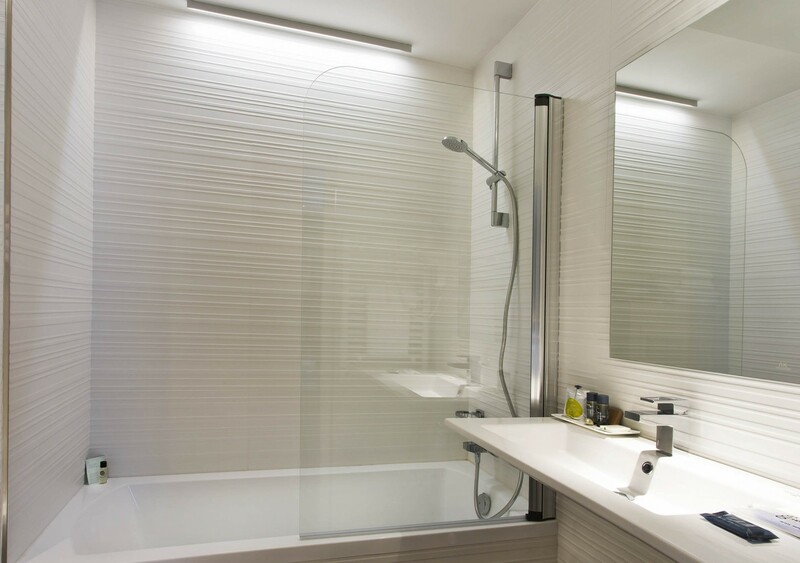 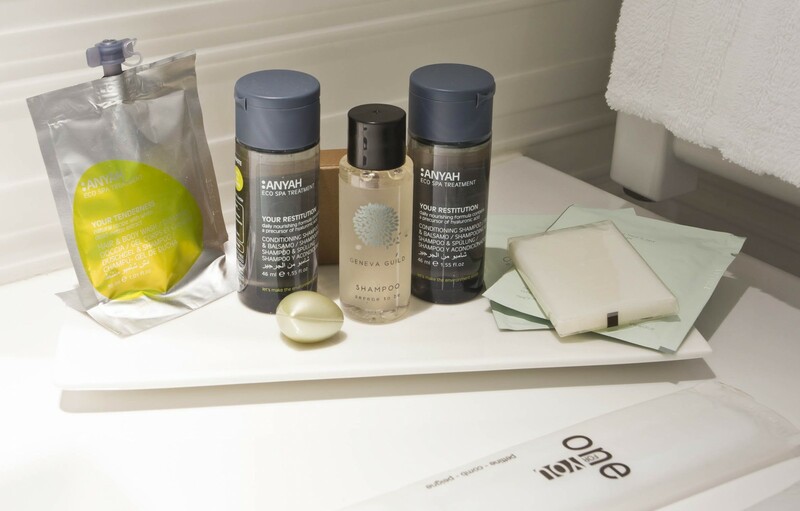 Enjoy a sound night’s sleep in our air-conditioned and soundproofed guest rooms. 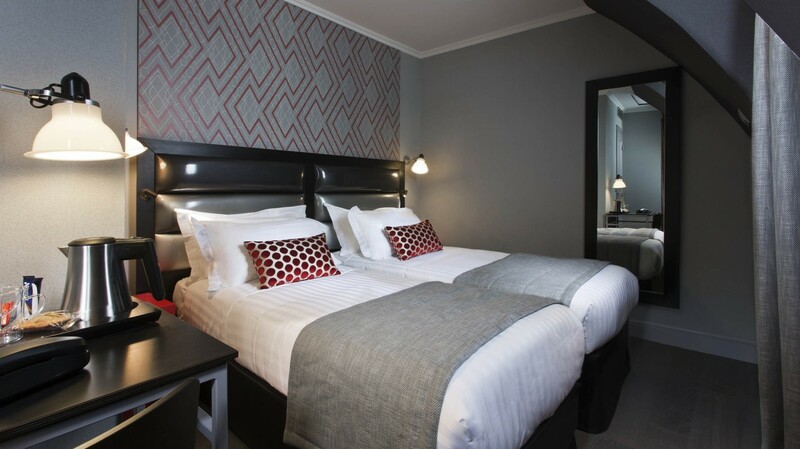 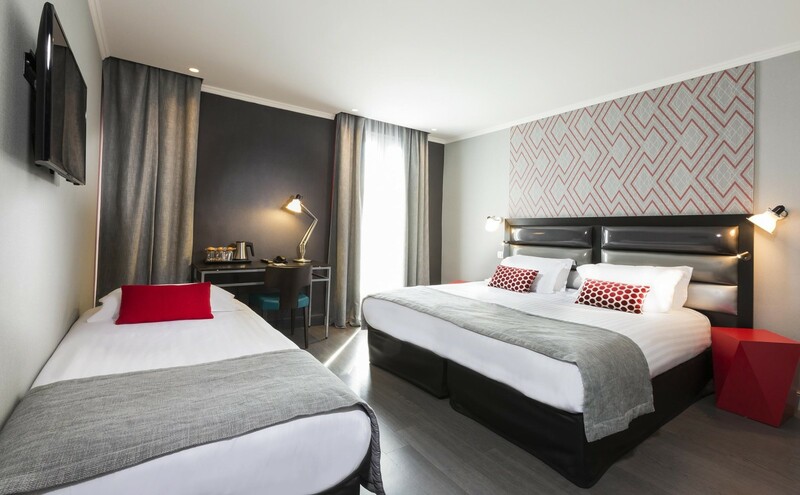 These newly renovated double rooms offer an elegant and sophisticated atmosphere with the latest in modern comfort for a very sound night’s sleep. 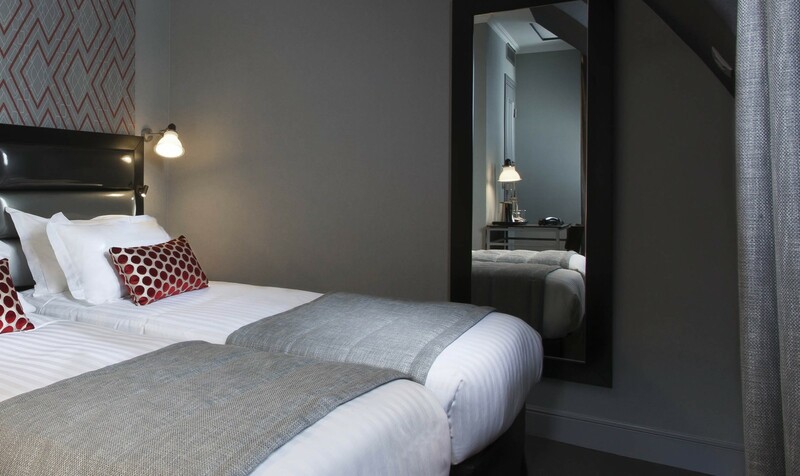 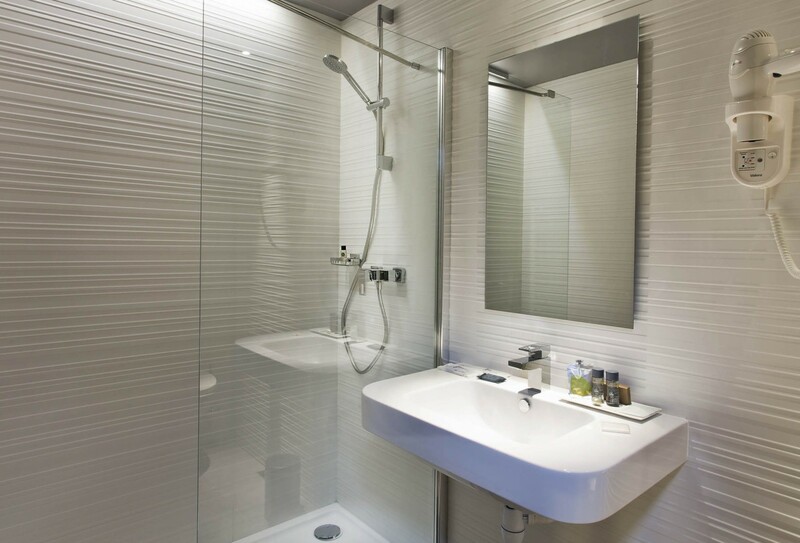 Our modern decor harmoniously combines different shades of greys and red touches for a warm atmosphere. 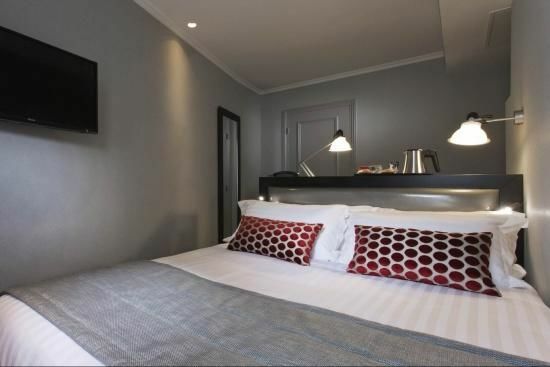 These very comfortable rooms are perfectly equipped for long and short stays with top quality bedding, air conditioning and courtesy trays. 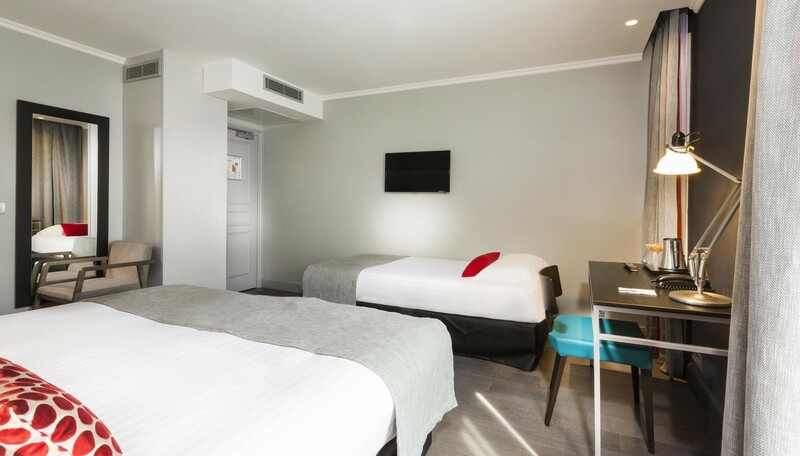 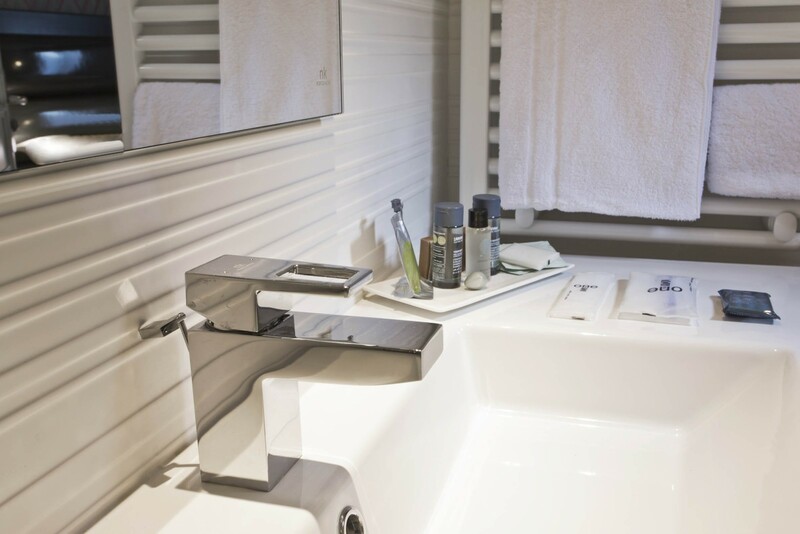 These newly renovated twin rooms offer an elegant and sophisticated atmosphere with the latest in modern comfort for a very sound night’s sleep. 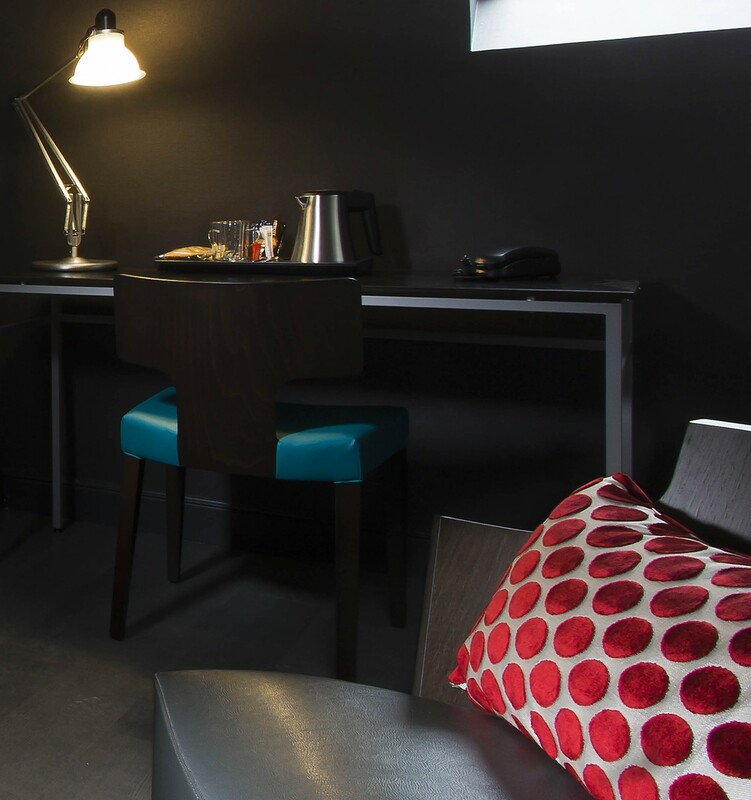 Our modern decor harmoniously combines different shades of greys and red touches for a warm atmosphere. 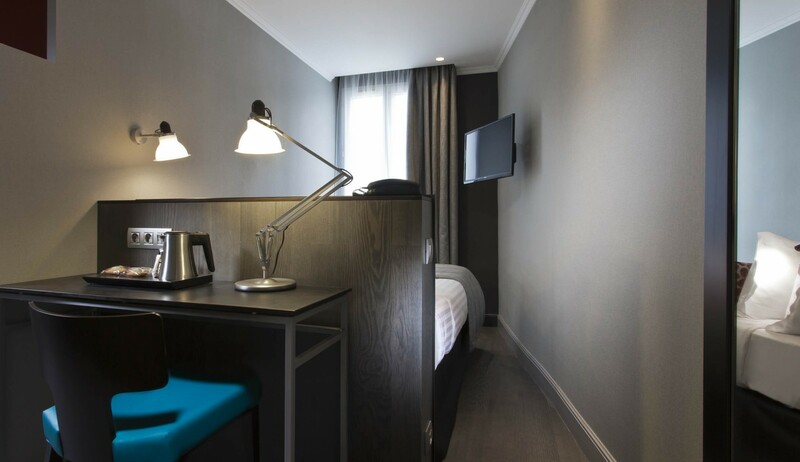 These very comfortable rooms are perfectly equipped for long and short stays with top quality bedding, air conditioning and courtesy trays. 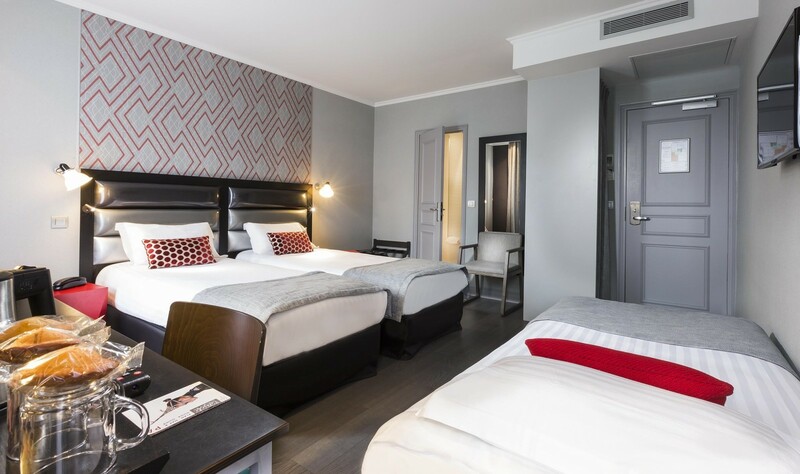 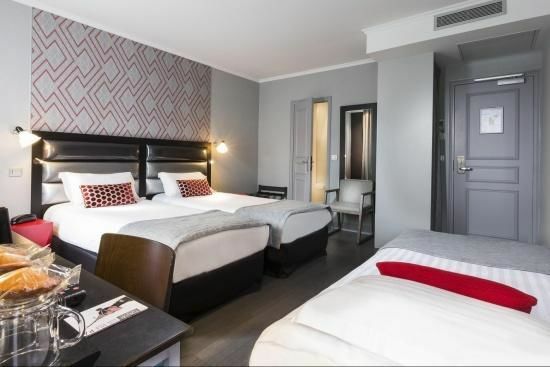 These newly renovated Triple rooms offer an elegant and sophisticated atmosphere with the latest in modern comfort for a very sound night’s sleep. 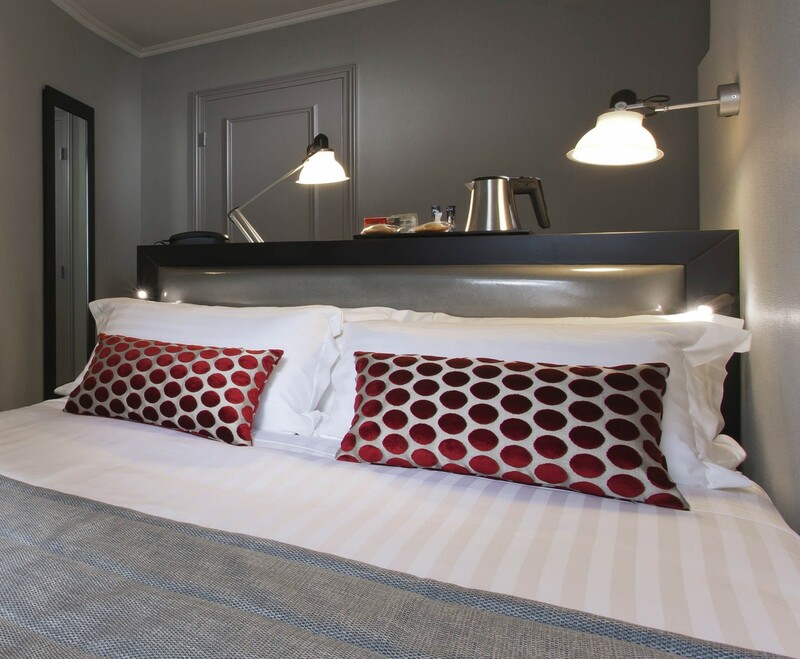 Our modern decor harmoniously combines different shades of greys and red touches for a warm atmosphere. 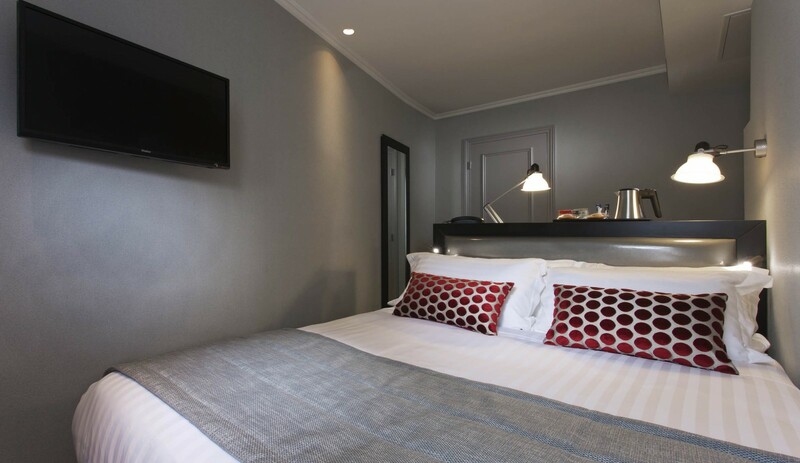 These very comfortable rooms are perfectly equipped for long and short stays with top quality bedding, air conditioning and courtesy trays.